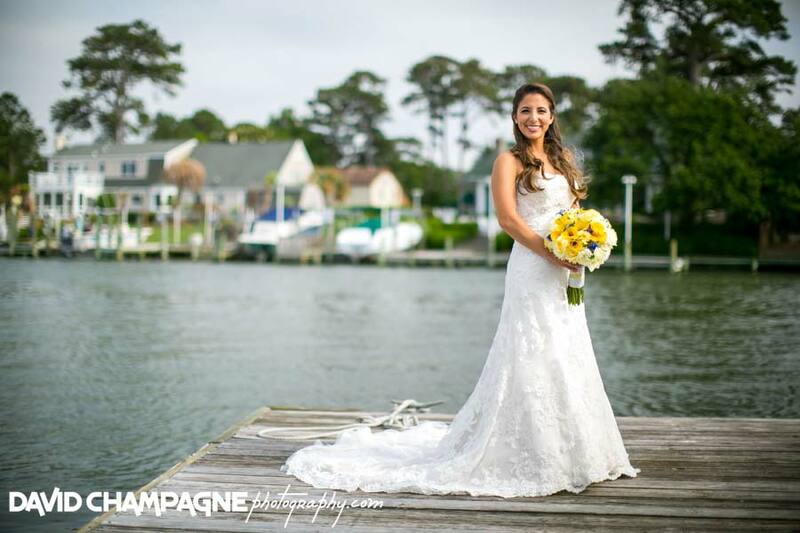 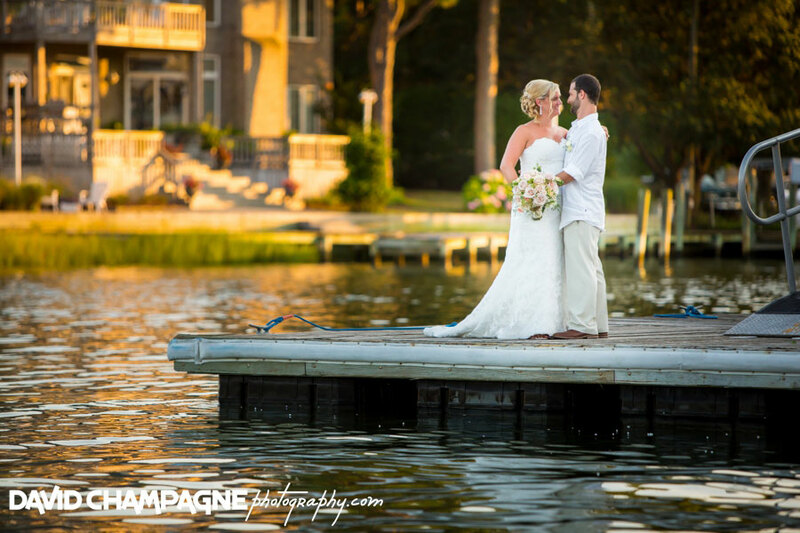 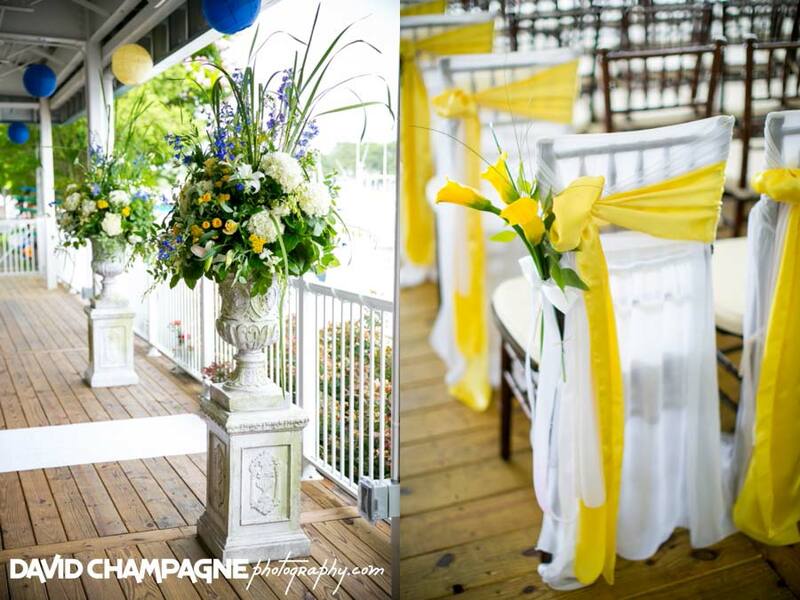 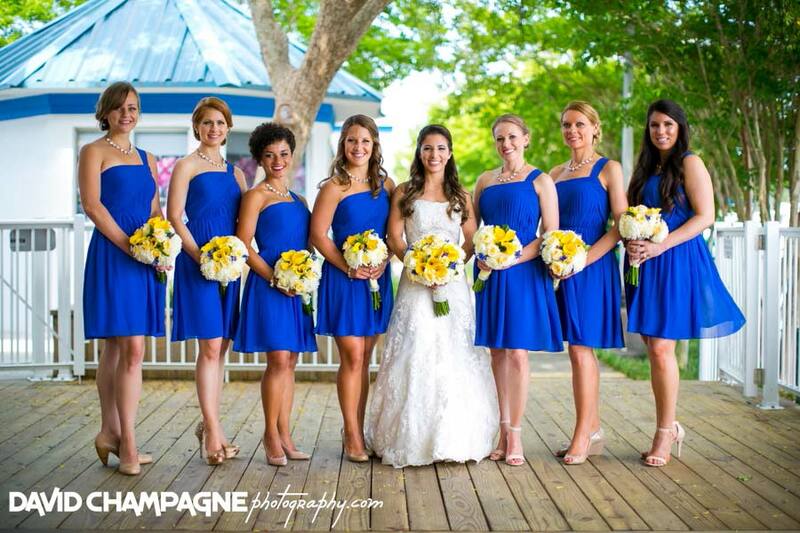 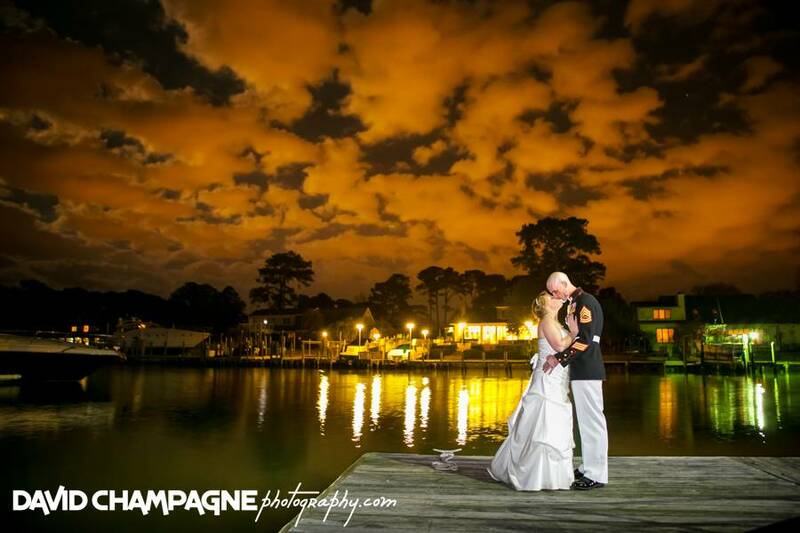 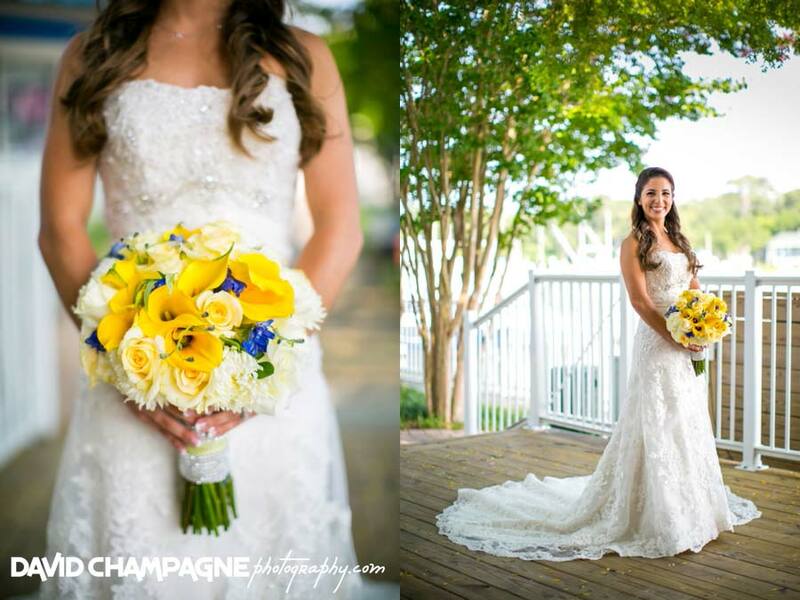 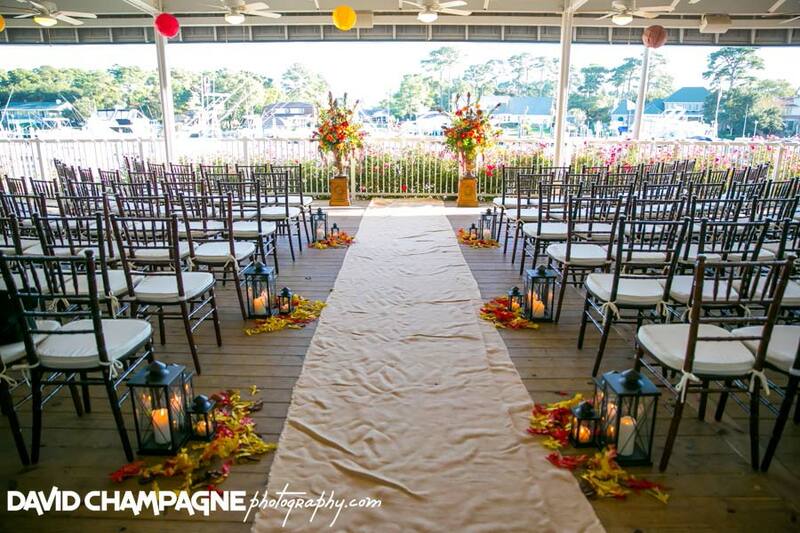 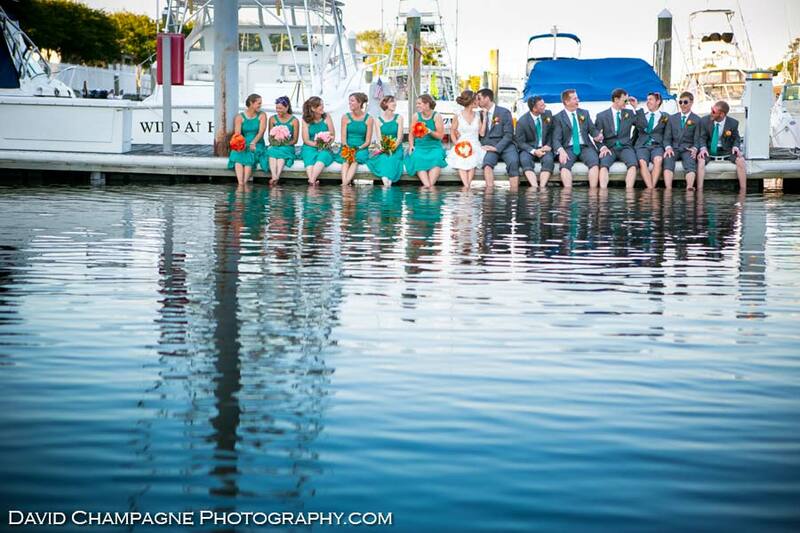 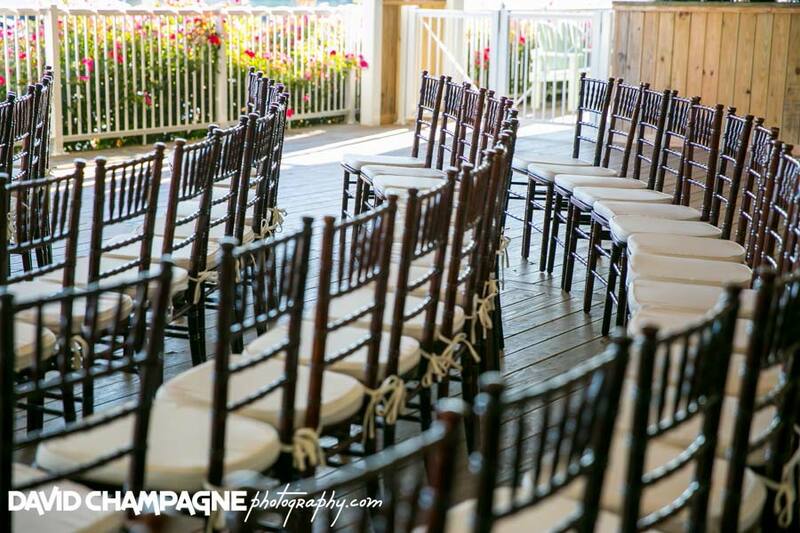 The Yacht Club is a beautiful Virginia Beach wedding venue right on the water near Shore Drive. 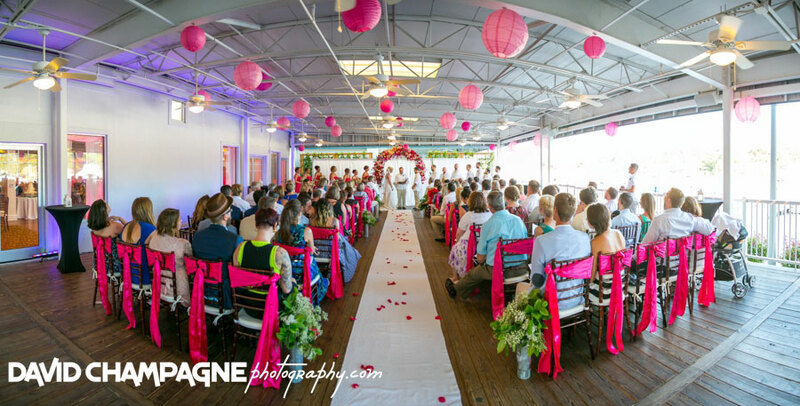 The venue has three amazing rooms (each with a water view) perfect for your wedding ceremony and reception. 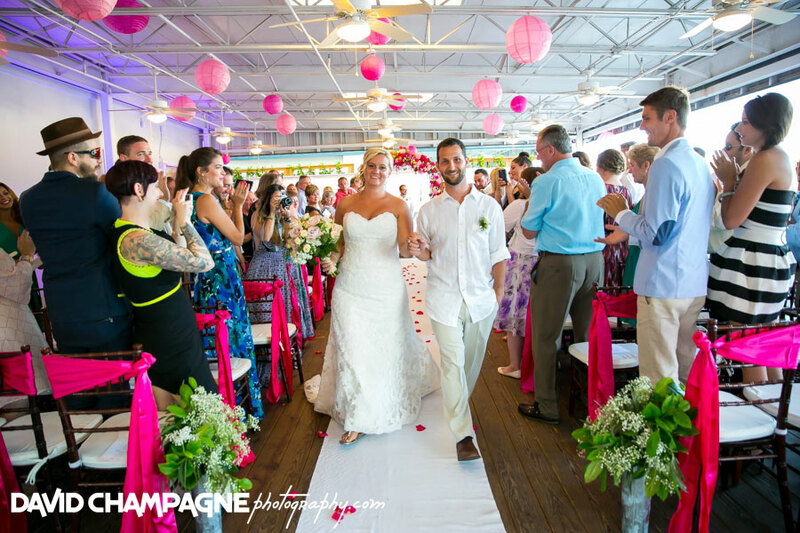 All three rooms have their own covered deck, reception room, private bridal changing room, private bathrooms and private entry. 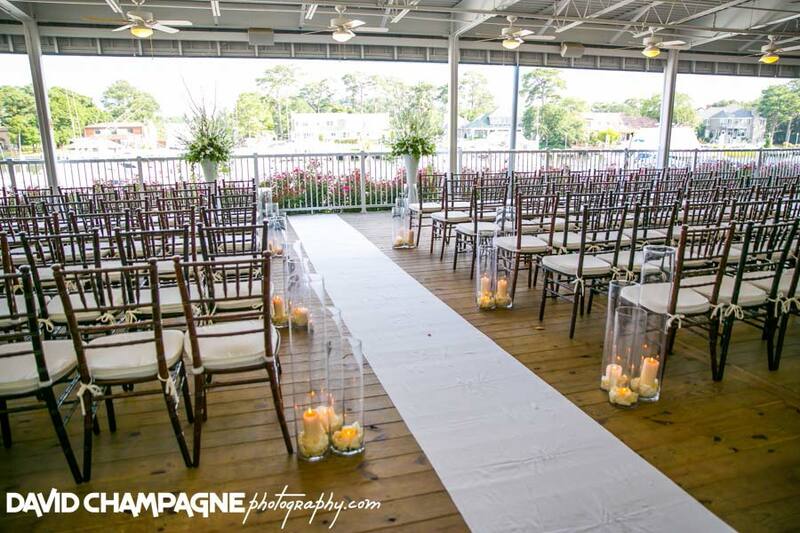 As a bonus, each room has a built in Plan B in the event of inclement weather The Yacht Club itself is a fantastic location for wedding photos: wooden walkways and docks surround the water and crepe myrtles and rose bushes line the walkways. 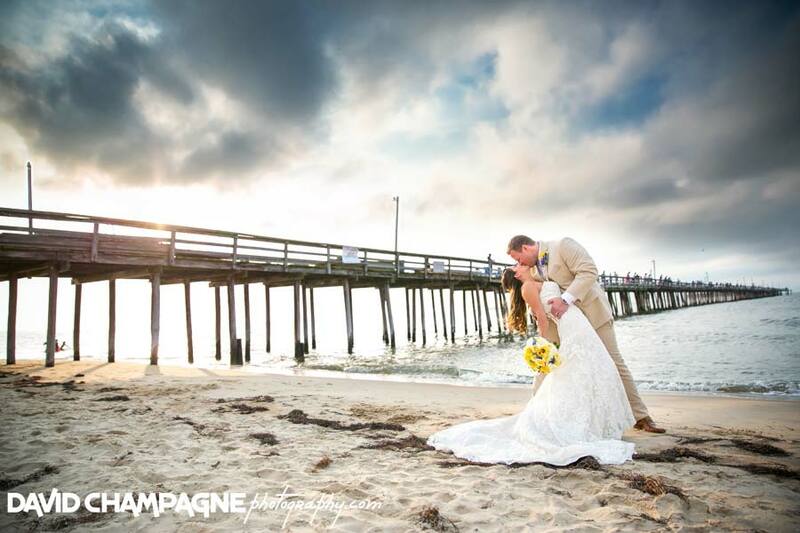 The venue is also located near First Landing State Park, and the Lynnhaven Pier for those couples looking to take photos on or near the beach. 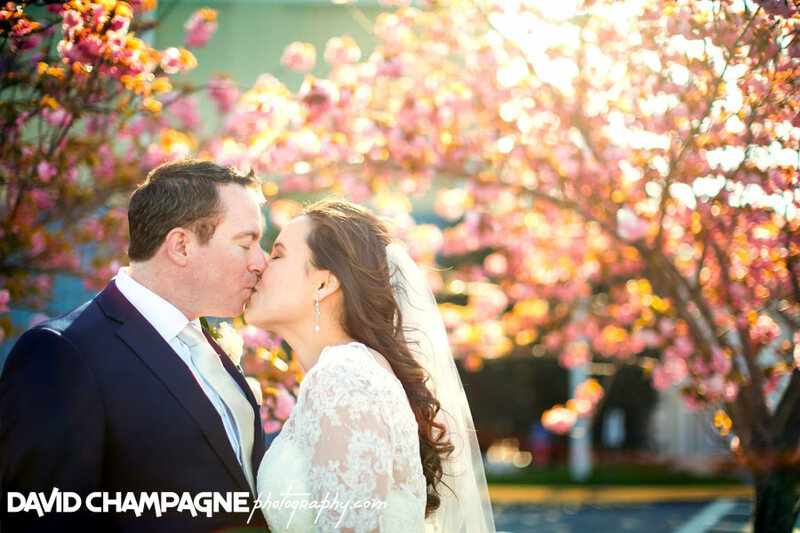 The Yacht Club also has cherry blossom trees at the entrance that are absolutely stunning when they are in bloom. 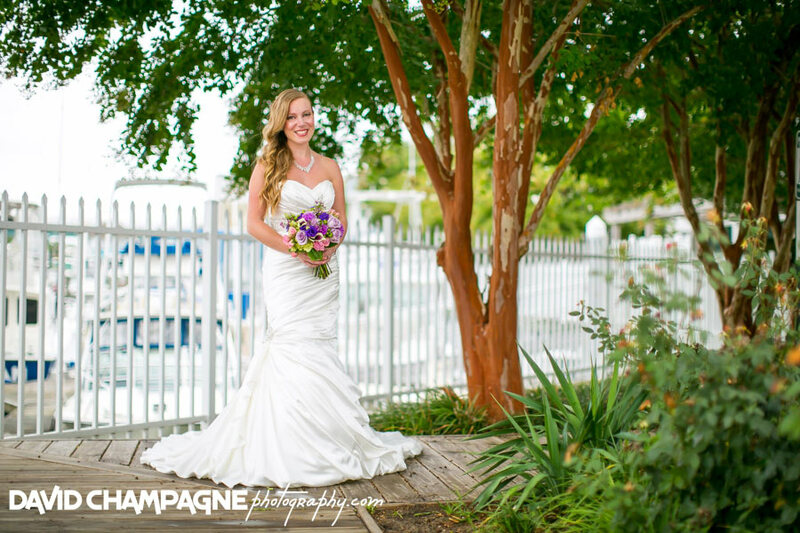 The Yacht Club is also conveniently located near hotels for out of town guests. 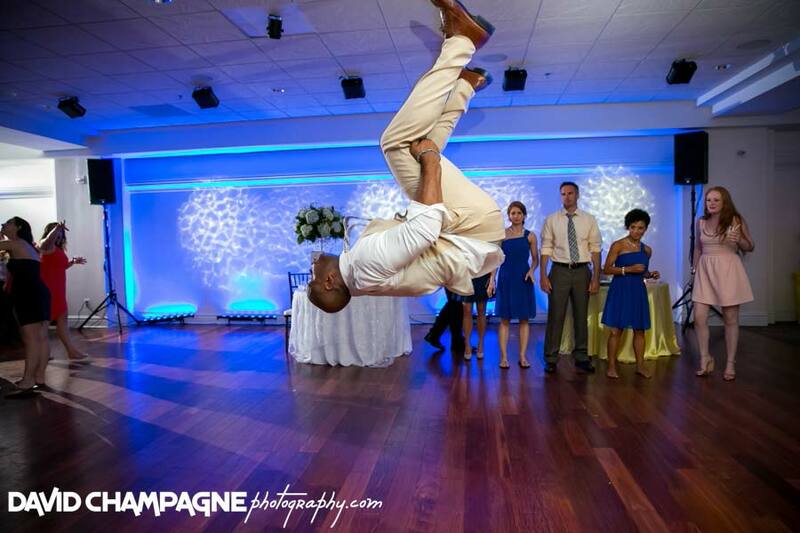 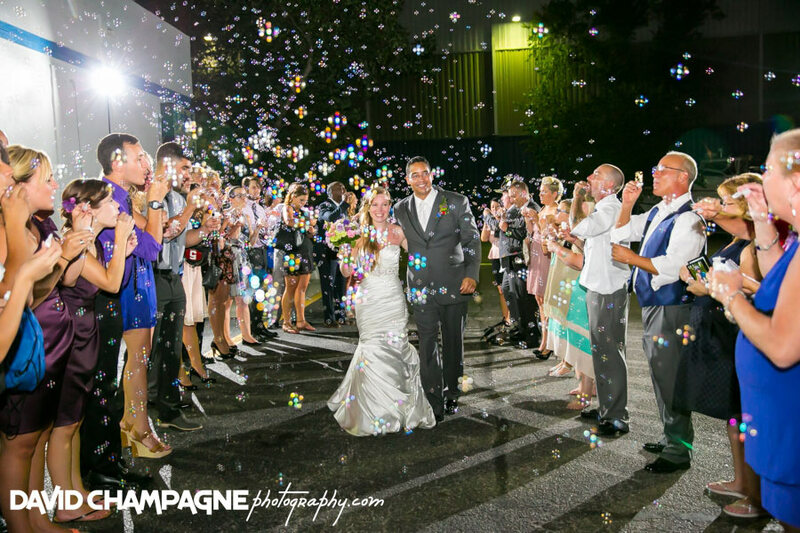 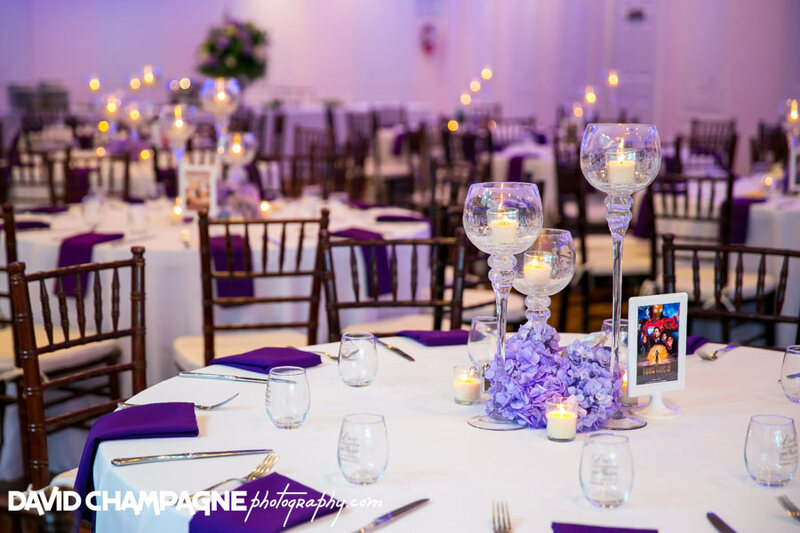 If you haven’t thought about a grand exit from your wedding reception, bubbles make for incredible photos! 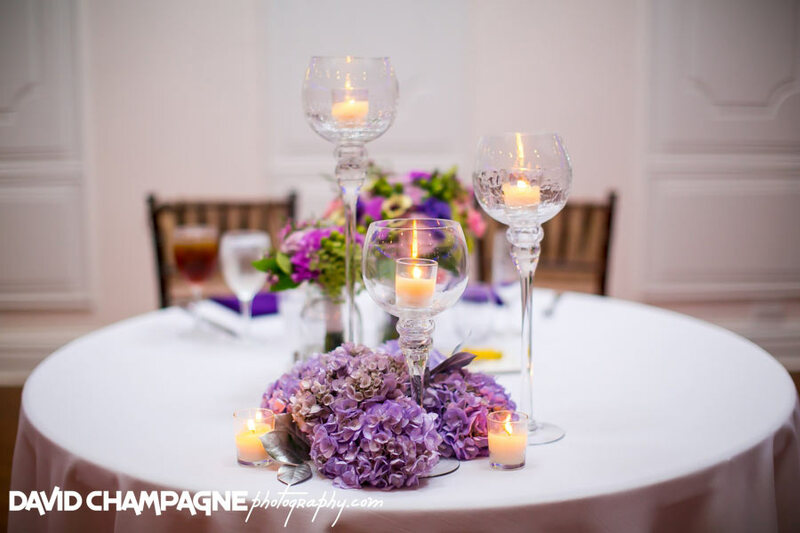 They are also affordable, easy for your guests to use (everyone can blow bubbles! 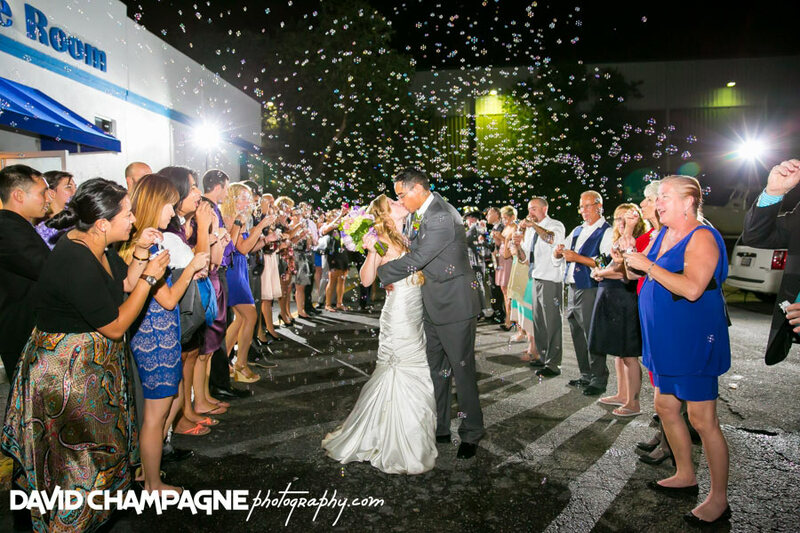 ), and all locations allow bubbles. 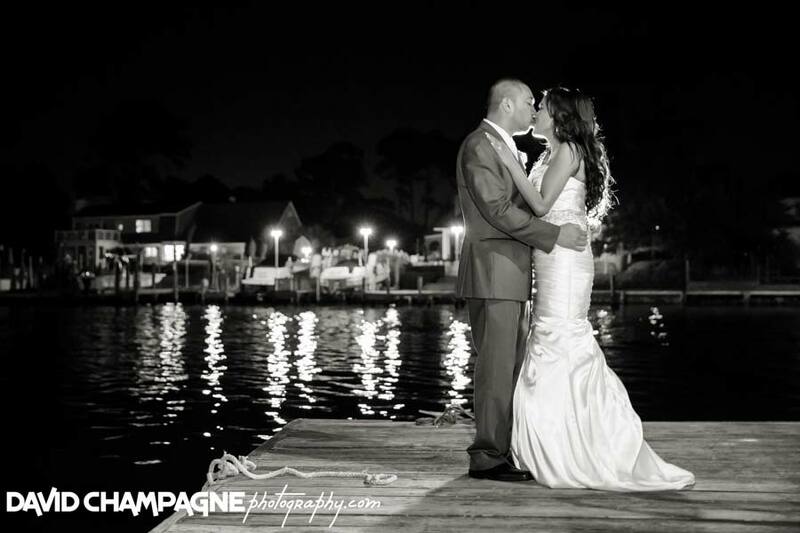 Below are some of my favorite wedding images from past weddings at the Yacht Club. 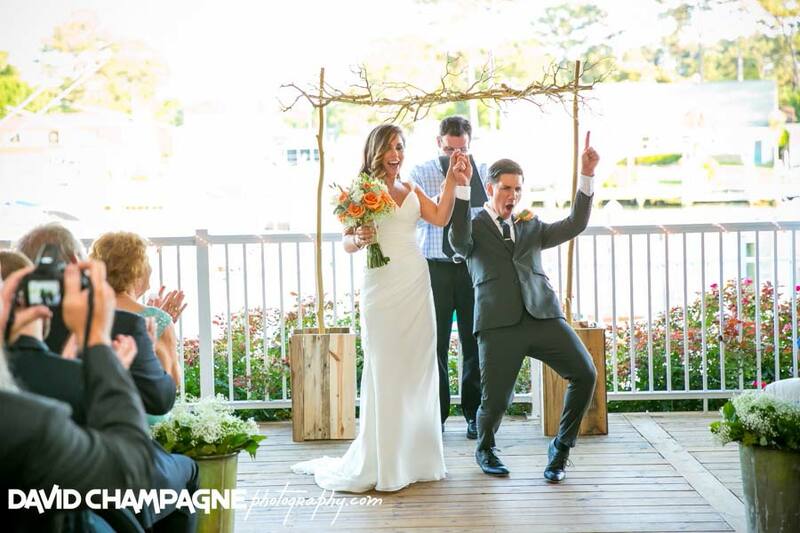 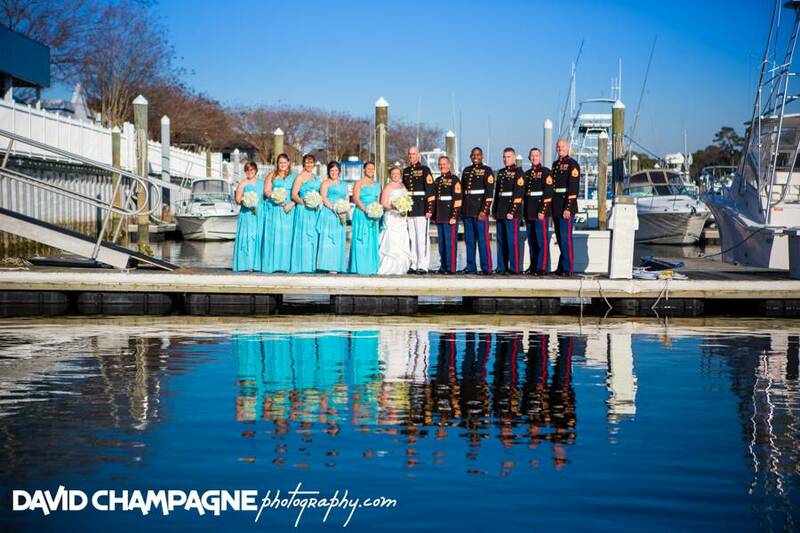 The Yacht Club is a full service wedding venue complete with a full list of top Virginia Beach wedding vendors, which takes all of the stress out of the wedding planning process. 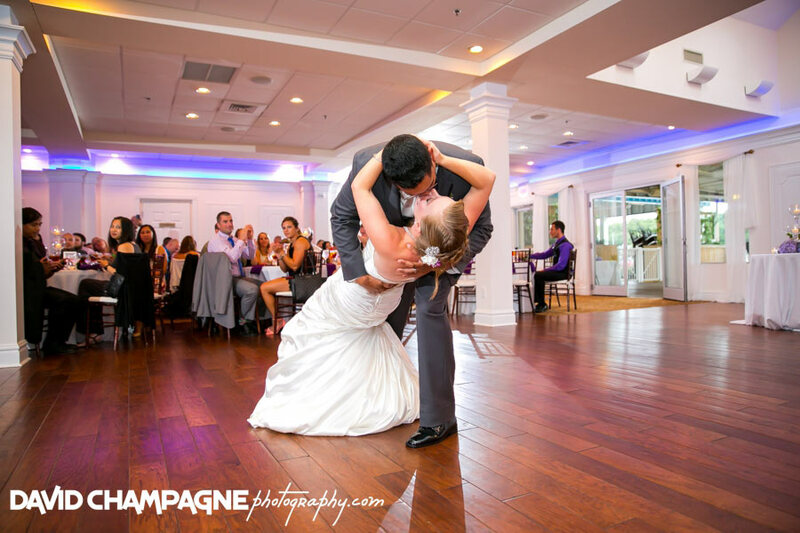 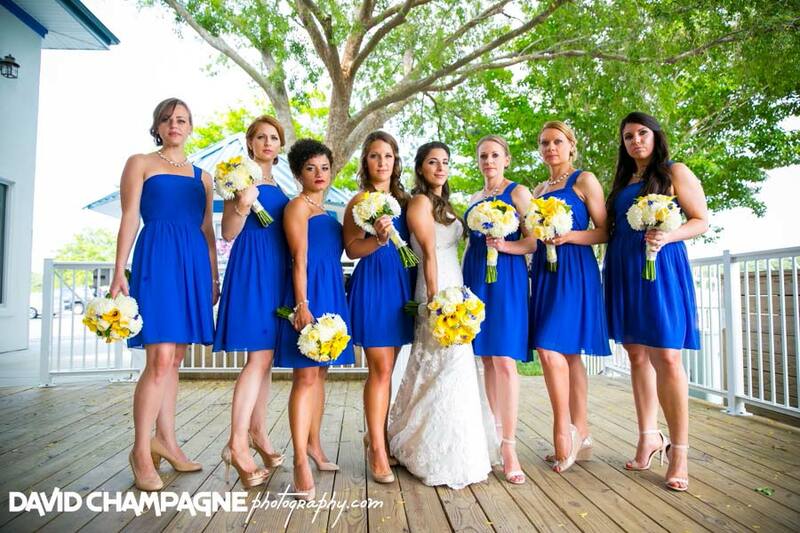 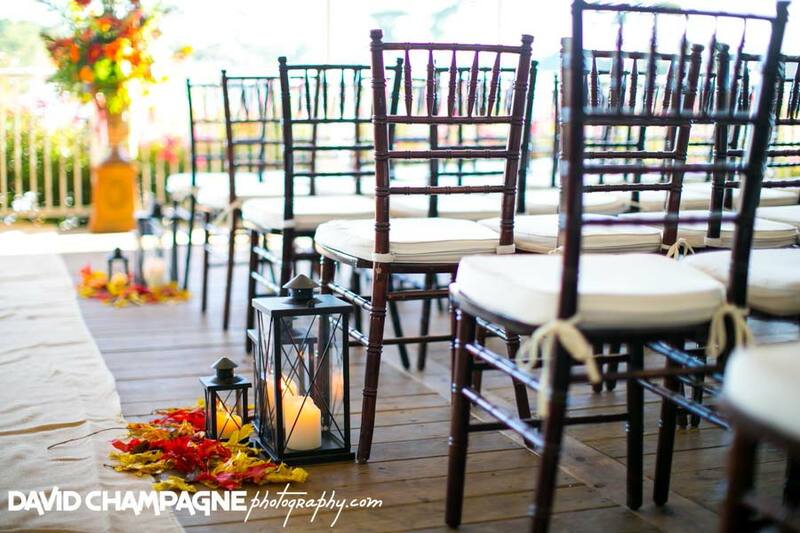 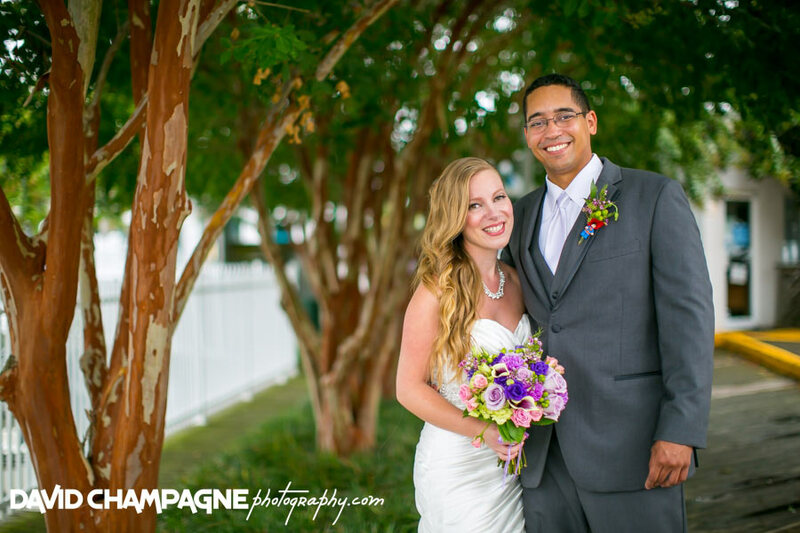 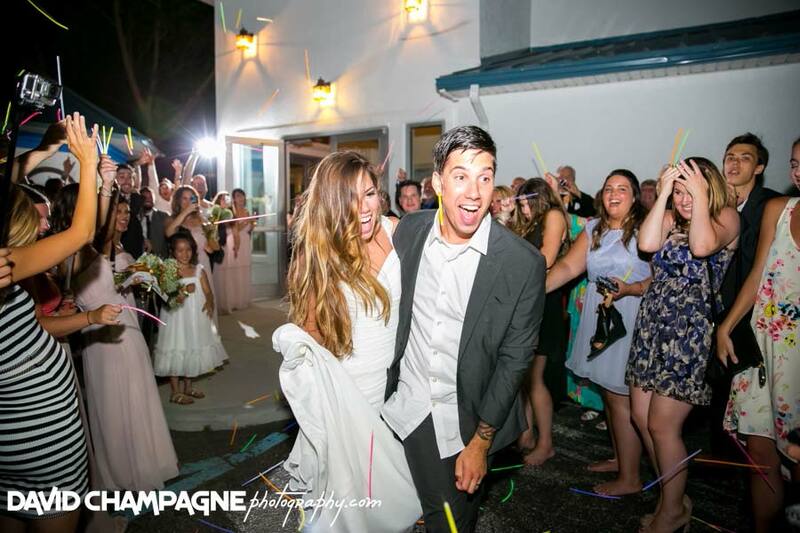 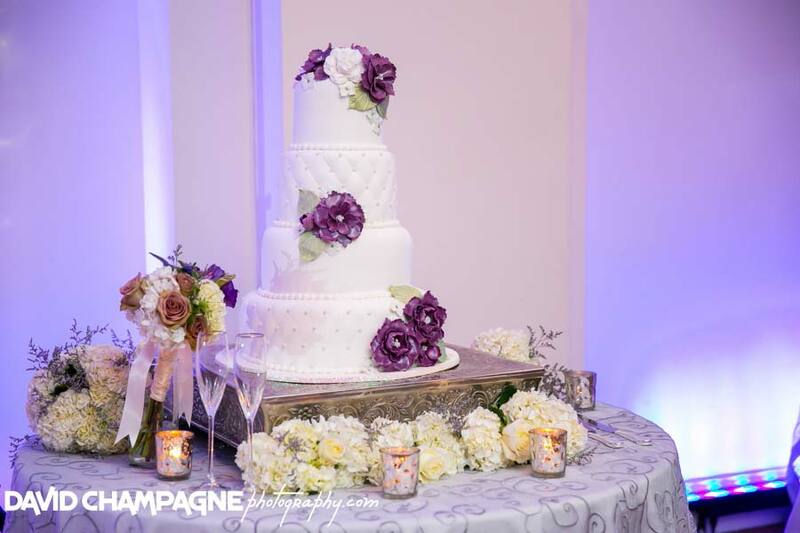 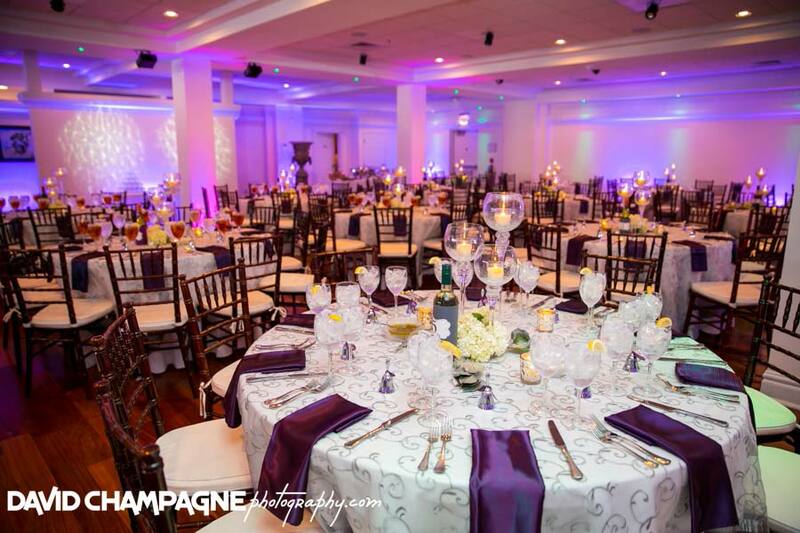 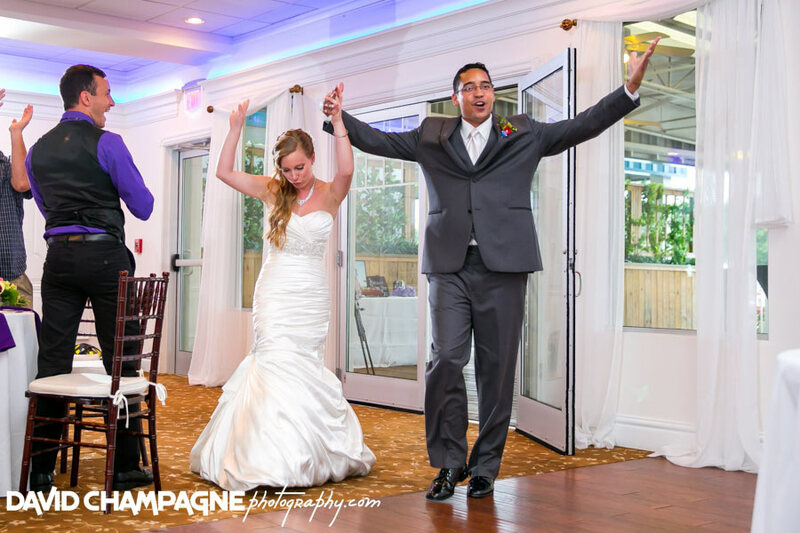 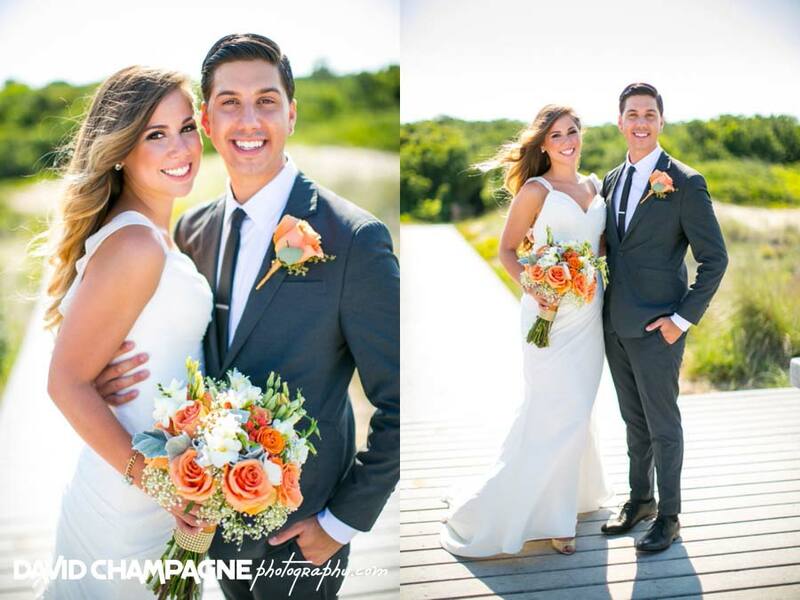 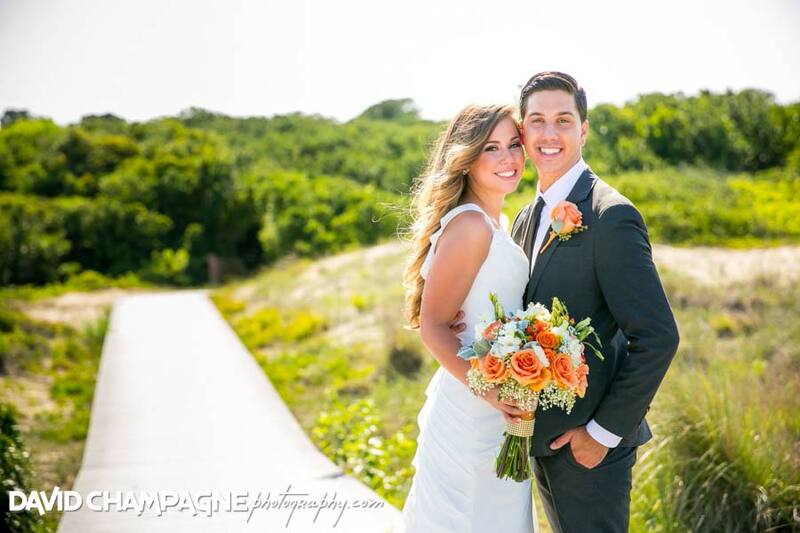 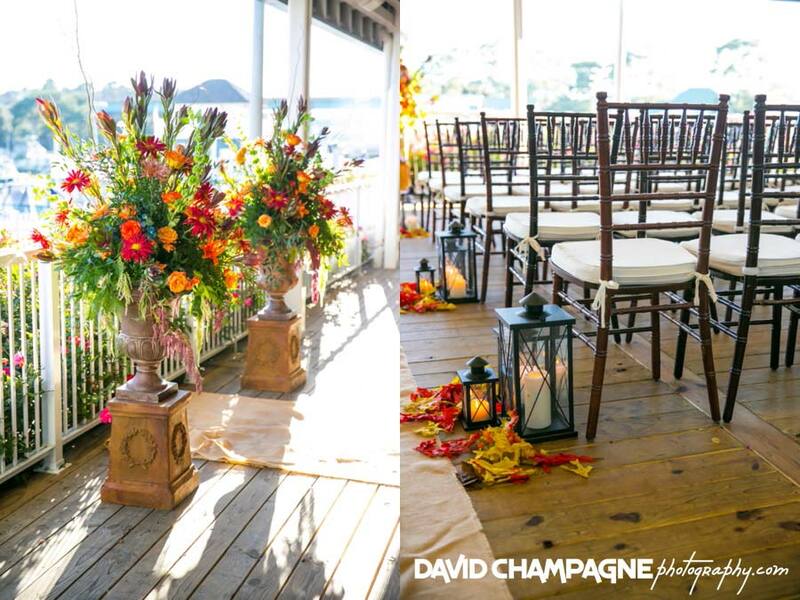 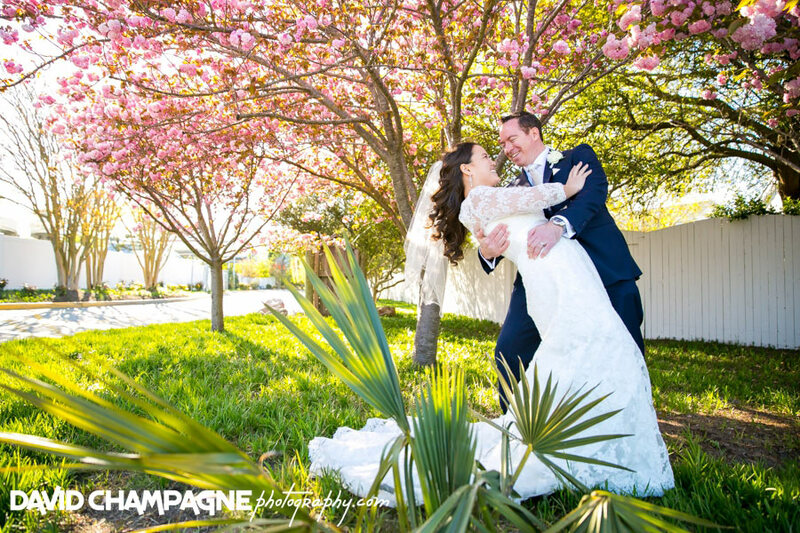 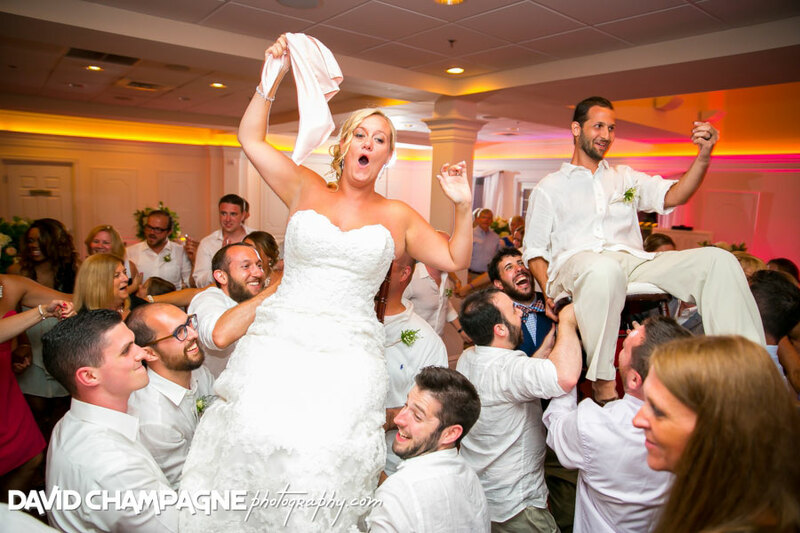 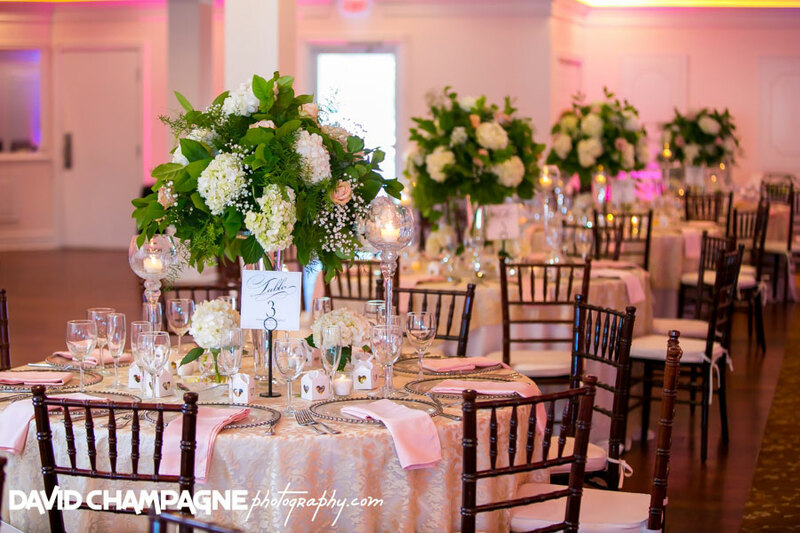 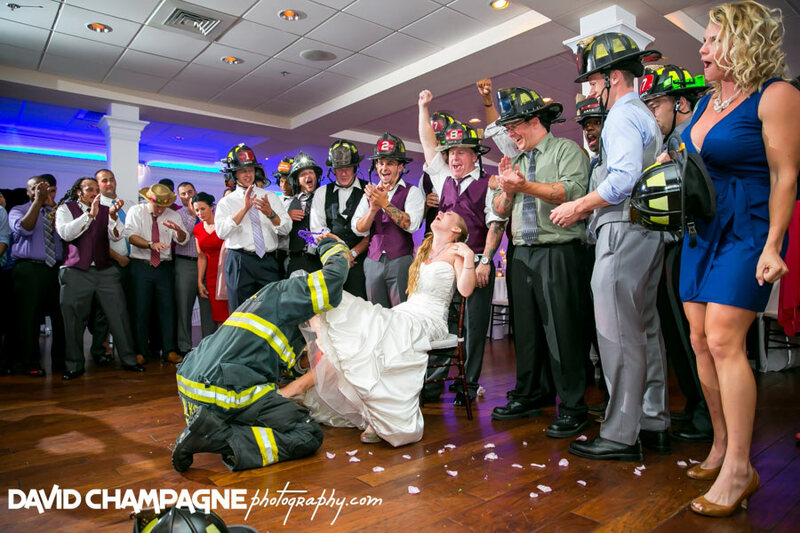 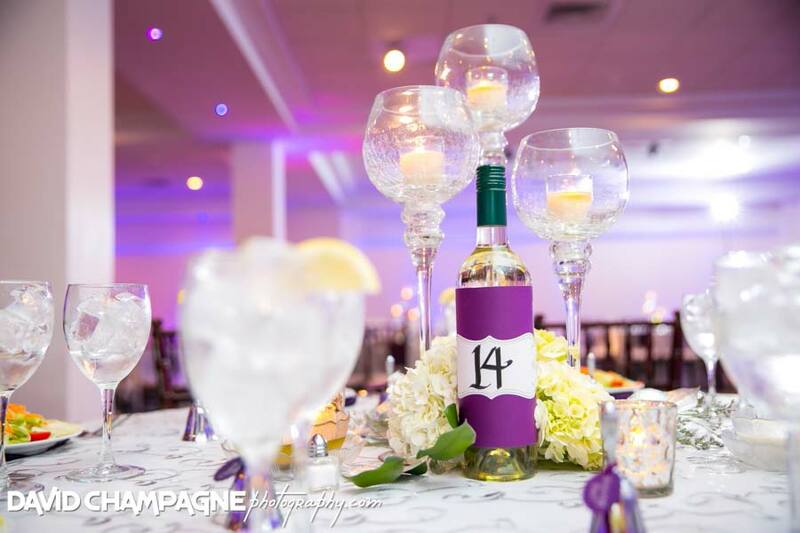 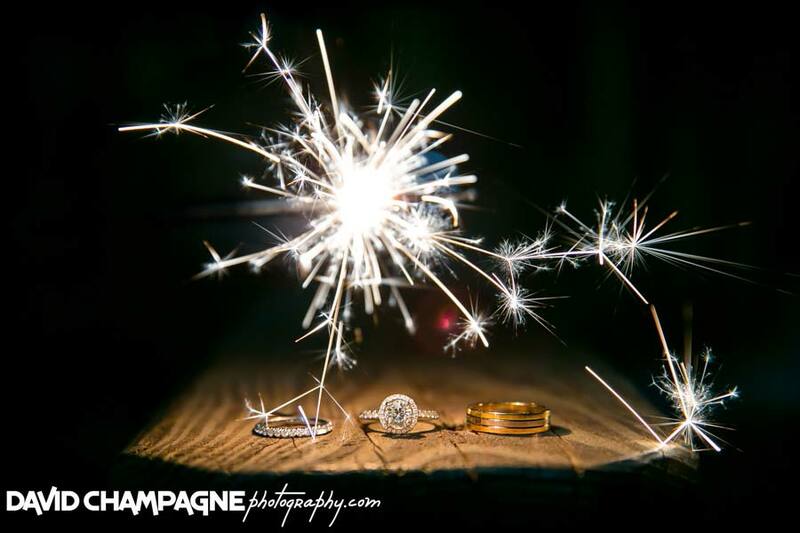 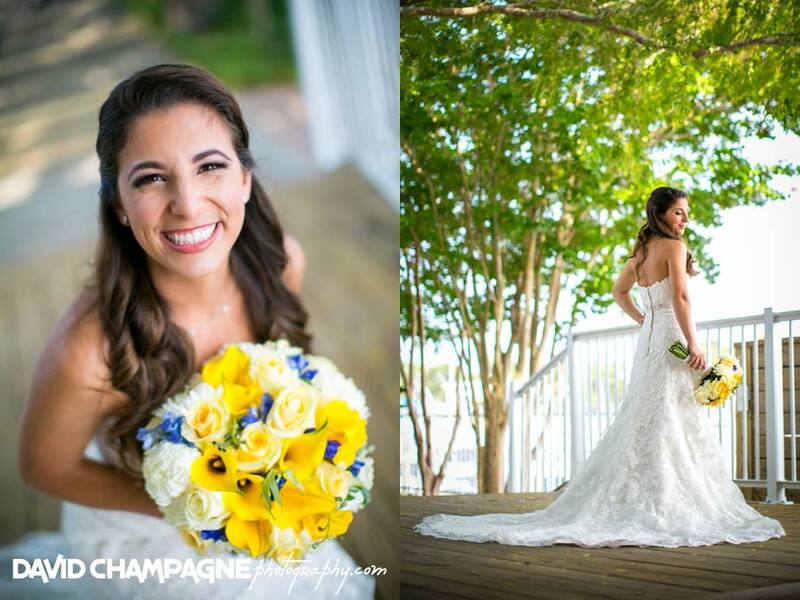 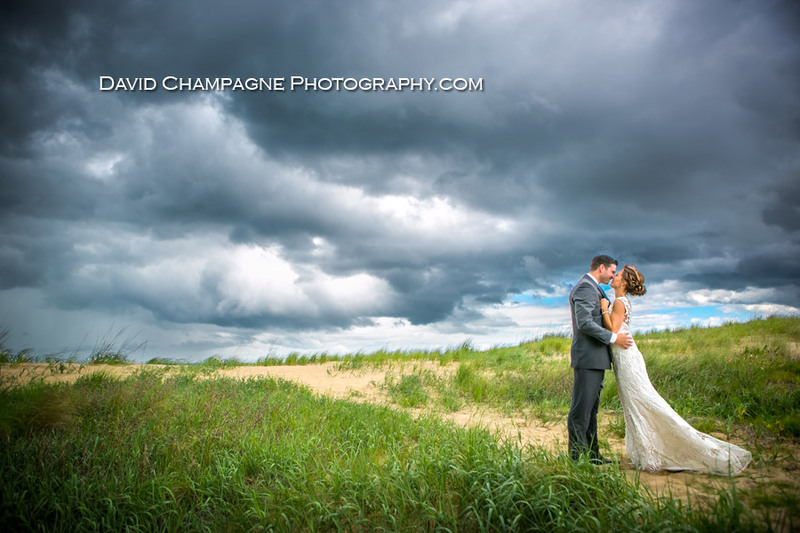 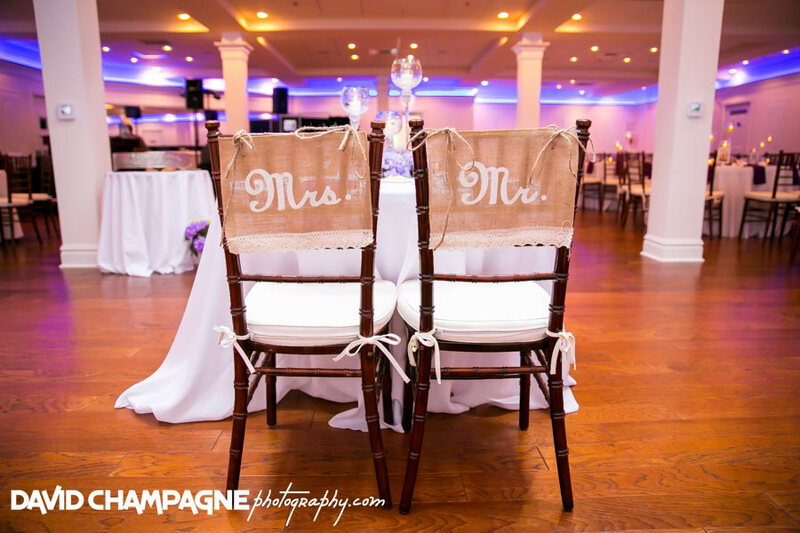 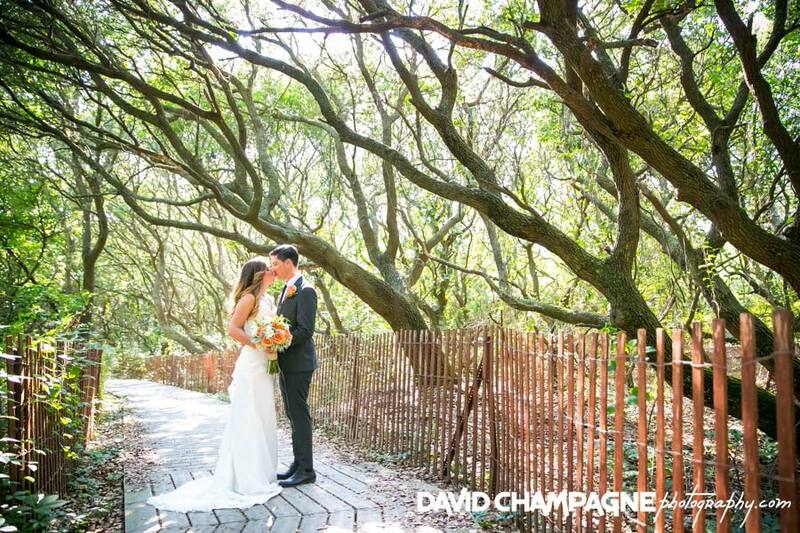 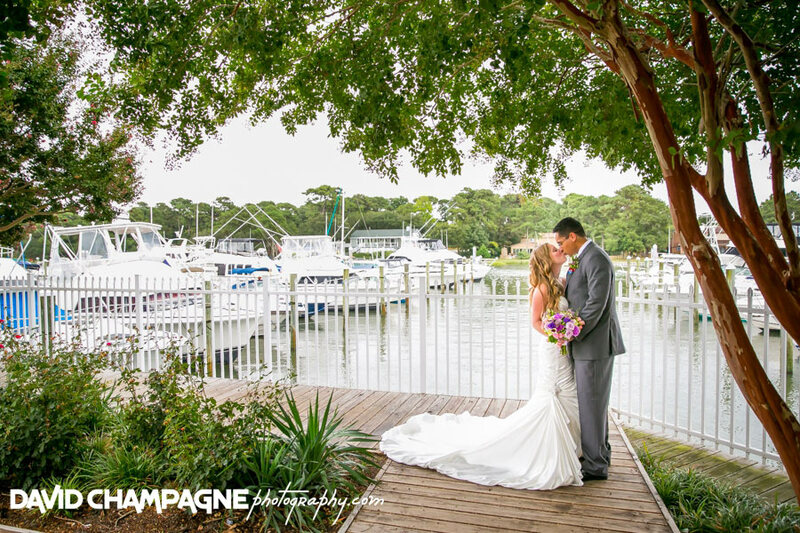 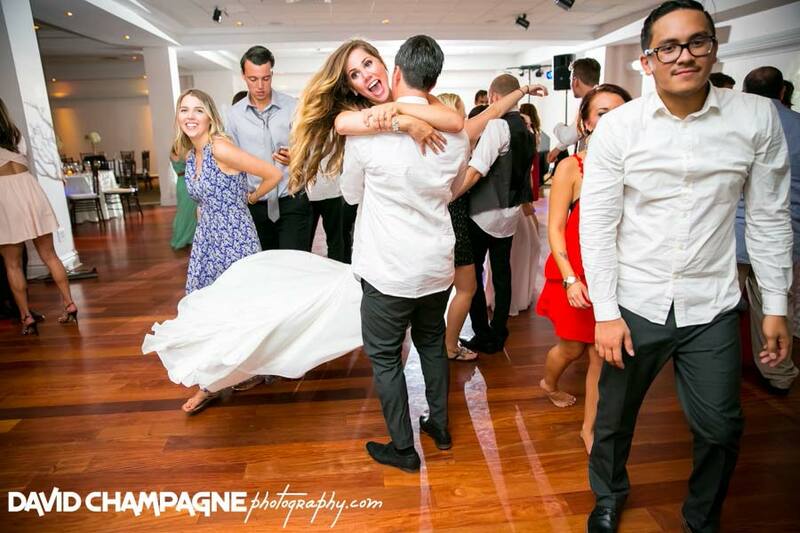 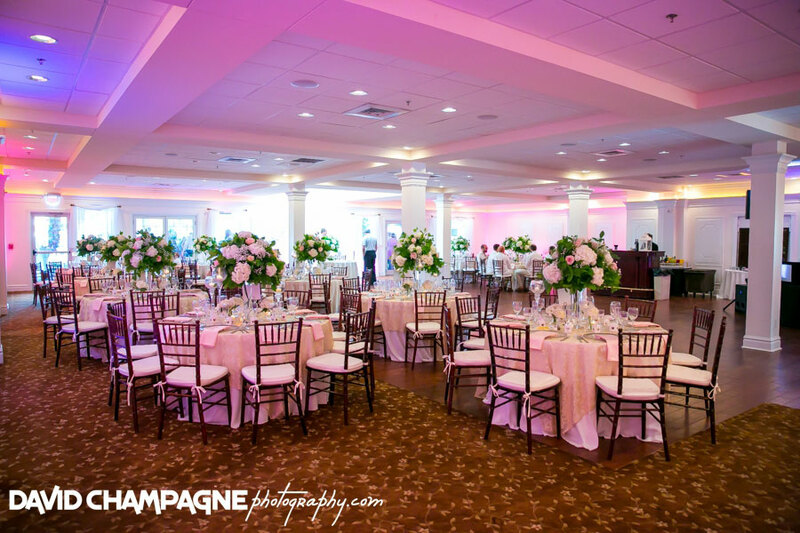 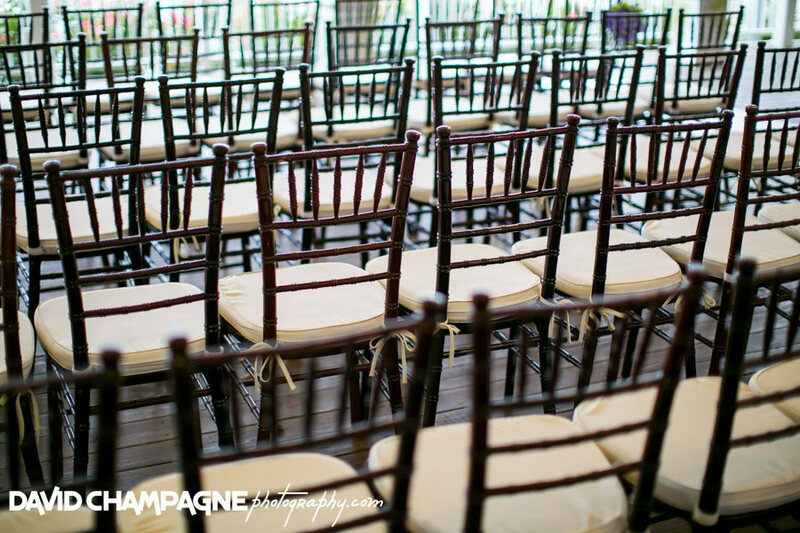 As a preferred Yacht Club at Marina Shores wedding photographer, David Champagne Photography has photographed numerous weddings at the venue.